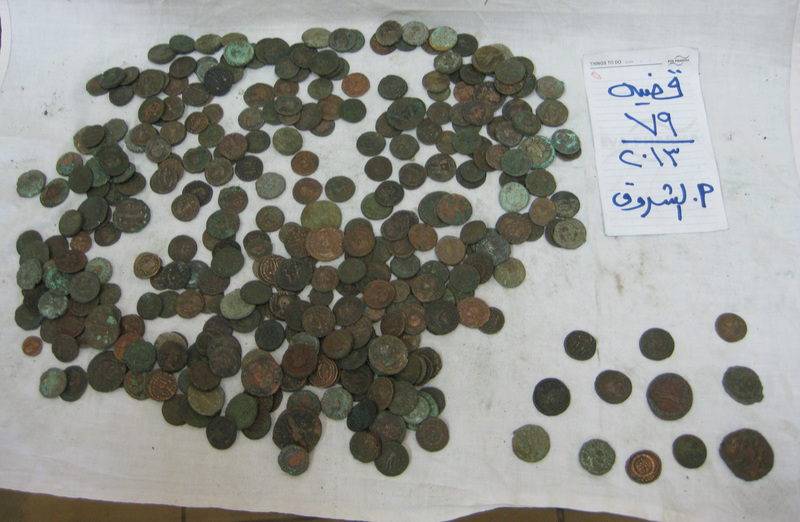 According to Dr. Mohamed Ibrahim, Minister State of Antiquities, after forming a committee headed by Dr. Yousif Khalifa, Director of the Central Stolen Antiquities Administration, to examine the seized number of artifacts seized by the Police in a private car after an attempt of escape by the driver when he was stopped at a check point on Cairo-Suez road. The examination resulted in 863 genuine objects. Dr. Mohamed Ibrahim, said that the recovered pieces dated back to different eras including Old Kingdom, New Kingdom, Graeco-Roman and Islamic. The Minister believes that they are probably were obtained during illegal digs in various parts of the country. He also referred that there were a number of fake objects which the committee found unauthenticated. Dr. Yousef Khalifa, said that of the most important objects are; a limestone basin dated to the Old Kingdom of 38.5 cm length, 24cm width and 11cm height with inscriptions in hieroglyphics contains the name of the Priest of King Senefru, a limestone tablet of the Old Kingdom as well with a depiction of the head and chest of Goddess Hathor holding a mace beside a black granite statue of Hathor dated to the New Kingdom of a 45cm height. The recovered objects contain 10 scarabs, 180 amulets, 120 Ptolemaic coins, 407 Roman coins of bronze, 3 Osirion wooden statues, limestone statue of 24cm height dated back to the First Intermediate Period, 22cm sand stone statue of a man wearing a long kilt dated to the First Intermediate Period and missing few parts by the head and right arm and shoulder which appears that it was recently restored, in addition to a false door on limestone dated to the Old Kingdom which has a depiction of the deceased sitting in front of offerings and inscriptions listing offerings for the deceased are carved along the side panels.